Another fine place just outside Ashford is the Beech Court Gardens and Tea Room which I regularly visit, either on my own or with Sandra at a weekend. People that know me well will tell you that my favourite creature is a chicken and I have several of them myself and Beech Court have lots of chickens, cockerels and a dog just roaming and going about their business which really adds a special feel and are eager to eat your scraps if you have any left over! They do Sunday roasts and the owner thinks it is best to telephone to book them as to ensure you are not disappointed. Sandwiches and large selections of cakes that are made onsite are always available. Strangely, teacakes are not offered or advertised but I ask for one and they some how seem to find me one with a pot of jam of course! 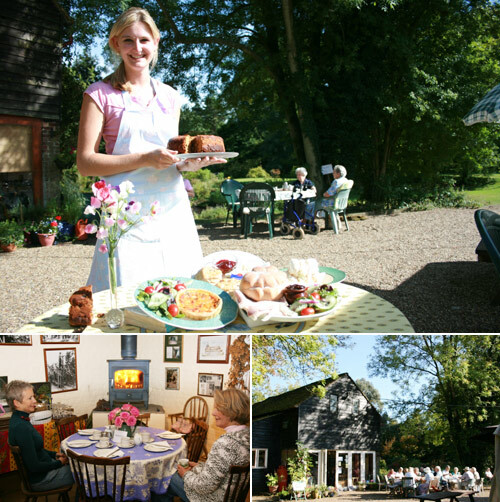 Beech Court Gardens & Tea Room is in fact a private residence which opens their gardens at a small cost to ensure its upkeep. They are really stunning and on occasions there are special events like the annual classic car show which has a live band and crafts and is an excellent day out which Sandra and I often enjoy. It's another excuse for me to see the different range of chickens that are always there welcoming you, but be careful when you leave in case some have a little sleep under your car while you are enjoying yourself. Coach parties often arrive during the hot summer months which gives me another excuse to go around talking and meeting different kinds of people. I can fully recommend Beech Court Gardens & Tea Room; lots of car parking, toilets on ground level and nice and quiet. Unknown to me, the Perry Court Tea Room at Perry Court Farm has been in existence for many years and I have passed the entrance almost weekly since the late 1960's! I recently visited this tea room for the second time, and it has come a long way since it first opened as a tea room some years ago. No longer looking like a working men's cafe, it it truly now a lovely, quaint English Tea Room, with nice welcoming staff. When I last visited, I had a pot of tea and a slice of quiche, both of which were very nice. This tea room is found inside a converted farm shed, but does have a nice modern and clean feel. 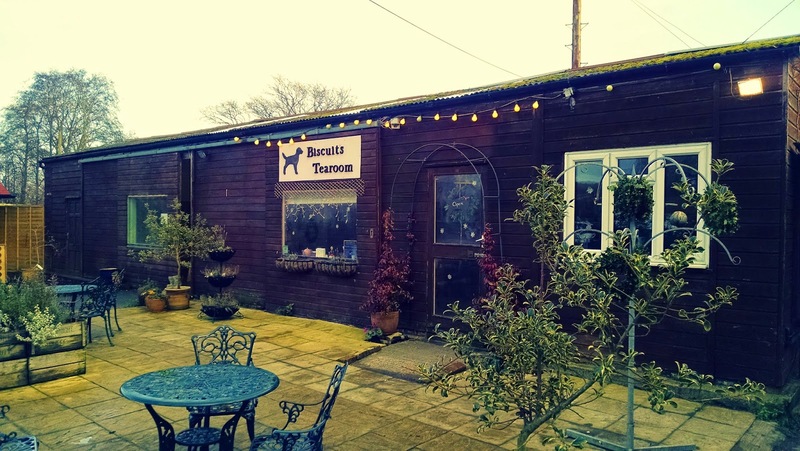 There was a large selection of gifts and crafts and next door you will find a sister shop, Perry Court farm shop that has been there since I was a young child. I can recommend this English Tea Room and plenty of free car parking. Discovered this English Tea Room but accident, on my way home from Boots the Opticians. 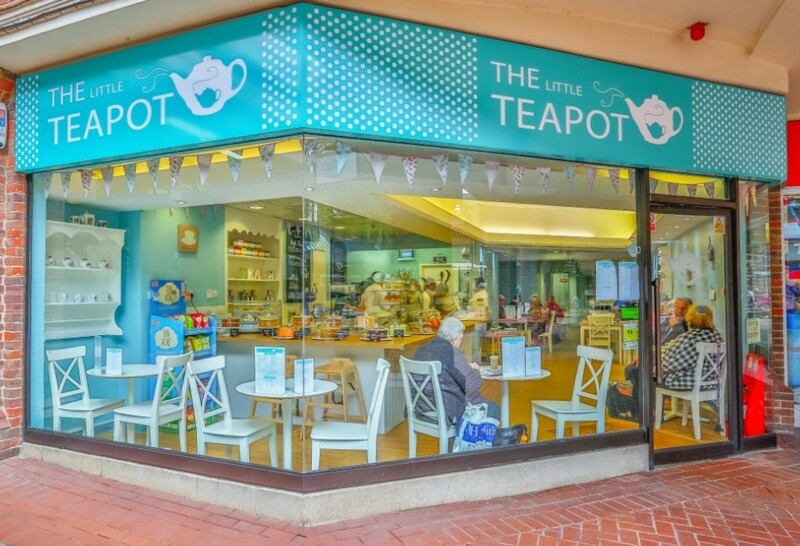 Right in the heart of Ashford, you are presented with a tea room with a different taken to that of a standard, run of the mill, tea room; due to colours, layout and the general attire. The colours was chosen by the owner, because it reminds her of her grandmothers home when she was a young child. I visited The Little Teapot on a Saturday afternoon, and I had a lovely pot of tea and a Cornish pastie. The place was packed and I was lucky to find a table. I had a lovely chat to the owner. He explained he has only been open for a few months, but the tea room is a great success, with many locals visiting the tea room daily, especially for lunch. I can recommend this English Tea Room. Parking is certainly tricky, but if you park just outside the town centre and walk in, then ample parking is available, and free. Depending on which magazine advertisement or review you read, the Secret Garden is either a restaurant or tea room, and I can safely say it is both and falls well within the definition of an English Tea Room. Again, I have to say, just like Miss Mollett's High Class Tea Room in Appledore, the Secret Garden is really a special place to enjoy lunch, dinner, afternoon cream teas and wedding parties are also catered for. 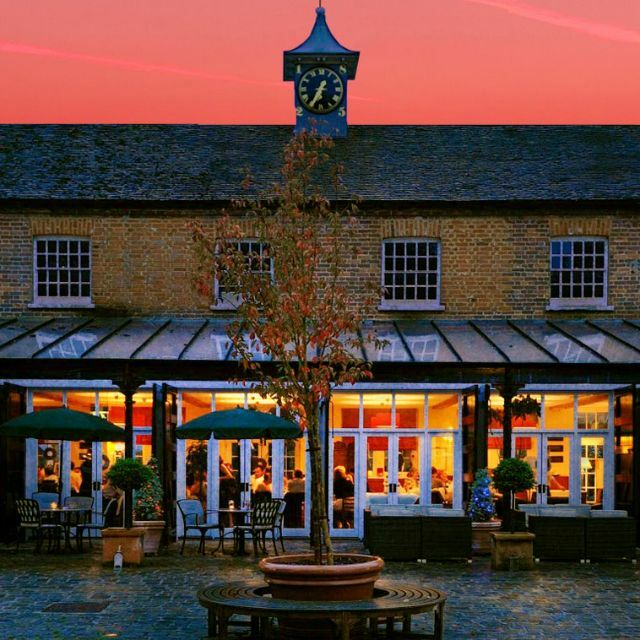 The food is exceptional and the service is extremely high and on the same par as Eastwell Manor which I would guess would be their main competitor. What also makes the Secret Garden special is that they have wonderful gardens and you can have your meal on outside seating, covered which is so lovely, you do not want to leave. The outside seating is more superior than Eastwell Manor and I know that this will surprise many people. I had home-made soup and a sandwich served on a roof slate, yes, roof slate. It was fantastic and I had two pots of tea and could hardly teach in Ashford a few of hours later I was so full...! When I was eating cakes over a year ago, the Secret Garden was by far the best place for fresh cakes, clearly on display and covered in glass covers. The décor, seating, layout, atmosphere and general feel to the place is really quite exceptional. Anyone that knows me well, will say that I have an unusual affinity to Eastwell Manor, apart from marrying Sandra there many years ago now, I have known Eastwell Manor and remember it when I was at infants schools and when it was a private residence. Now I am showing my age! But, the Secret Garden food and atmosphere is on the same par as Eastwell Manor and is a wonderful place and with a little addition to the main building would make a lovely place to get married. I wonder whether the owner has thought of this? The pricing is a little higher than expected, and I think a little higher than Eastwell Manor and I eat at Eastwell Manor most weeks. However, I am also of the view that 'you pay what you get' and the cost is really quite irrelevant when you consider, location, food, service, atmosphere…...etc! Lots of free car parking and I can highly recommend this English Tea Room and I ma very sure that you will enjoy it too.